The Eden Rooms moved to the new salon on 27th November 2010 at 1 Cazeneuve Street, Rochester, Kent, ME1 1XU, opposite the new Ruxton Square development that the old Rochester Police Station used to occupy. We occupied our previous location in Chatham from 2007-2010, but needed to obtain bigger premises in order to accommodate our growing client base. We refurbished the salon again in January 2014 in order to keep up with the changing fashions and make your salon a more luxurious setting for all your pampering needs. Scroll down to meet our team. Kate was an IT Professional for many years before marrying and planning a family. At which point she realised she was following the wrong career path and decided to retrain as a Beauty Therapist, completing her NVQ in 2005. She then undertook further qualifications in, and not limited to, Massage and Holistic Therapies along with an NVQ in Hairdressing and more recently retrained in Harley Street to become a teeth whitening technician. After commuting for about a year from Surrey, she moved to Kent in 2007 and initialised The Eden Rooms, she now has a loyal client base and enjoys the varied days that her many hair and beauty qualifications allow her. Please feel free to contact Kate for an initial consultation or with any queries with regards treatments and she will be happy to assist you. Carla has been working in the hair industry since 2009. She gained her NVQ Level 2 at college then furthered her skills by working in a salon in Gravesend while studying for her NVQ Level 3. 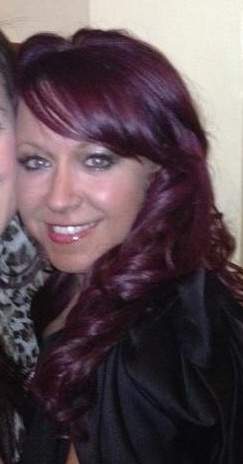 She has been at The Eden Rooms since September 2011 and has built up a very satisfied and loyal clientele. She is creative with her colouring and cutting and always tries to make her clients feel at ease. Carla is also trained in Racoon bonded human hair extensions and lists many satisfied clients, please have a look at our extension before and after pics under our services page for examples of her fantastic work. She looks forward to welcoming clients both new and current to the salon. Parking on the salon-side of Cazeneuve Street and opposite, outside the new houses is currently unrestricted. There are also car parks a few minutes walk away in King Street and at the top of John Street, along with free parking in local streets.